← What happens to Jelly Bellys that don’t make the cut? 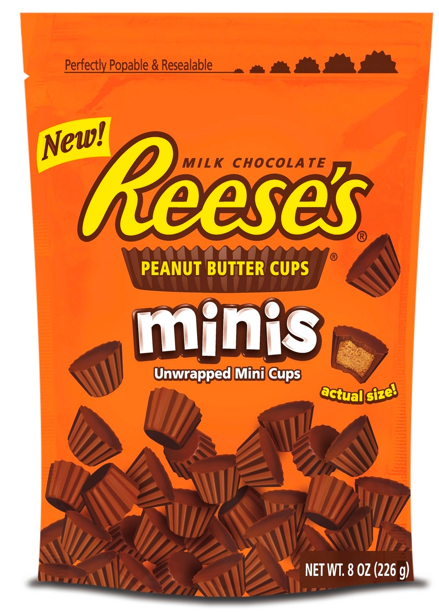 The mini peanut better cup is a great invention. I thought the fun size couldn’t be beat, but then they made them even smaller. I like them best when they’re frozen. I think they’d be awesome in cookies, and my sister says that they are great in ice cream, too. 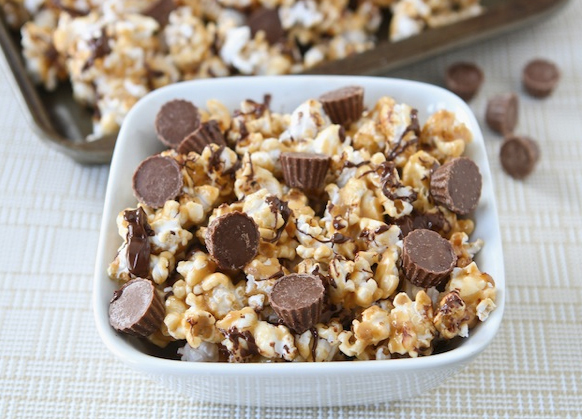 Check out this Reese’s peanut butter popcorn from the blog Two Peas and Their Pod. Mmmm… so creative and delicious. Posted in Milk chocolate, Peanut Butter, references, recipes. Bookmark the permalink.